“My Escape” is a 1981 Sadler 29, with bilge keels that has just been reduced in price to £12,500. 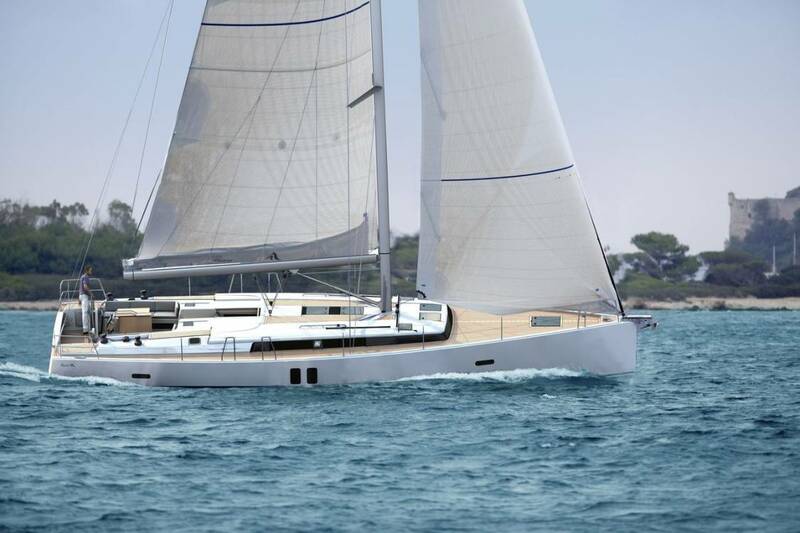 The Sadler 29, is a great first yacht for anyone looking to venture into the pastime of sailing. 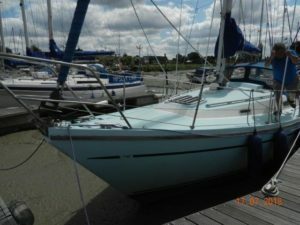 With her bilge keels and only a draft of 1.12 metres, she is a great yacht to sail the creeks and inlets of the UK East Coast. 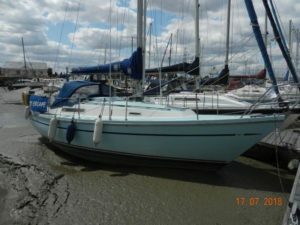 This particular yacht has been owned by the current owners since 2015 and is looking to upgrade to a larger yacht. 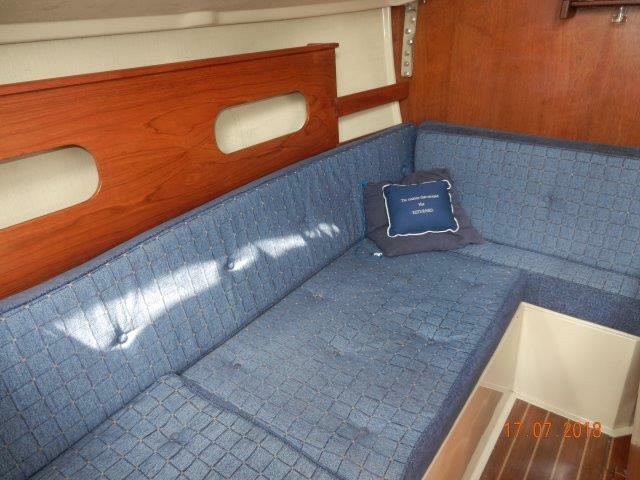 The Sadler 29 offers six berths in two cabins. 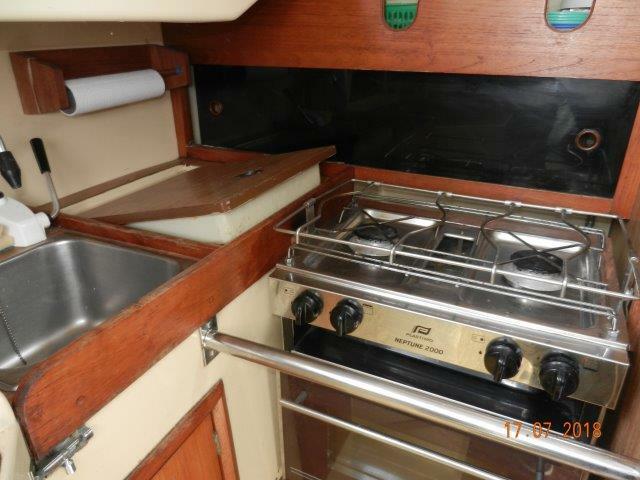 The forward cabin has a V berth with infill to create a double berth, opening hatch to foredeck and stowage areas. Folding door separate heads compartment from the forepeak to port with Jabsco marine toilet and washbasin. A large hanging locker opposite with lots of storage space. 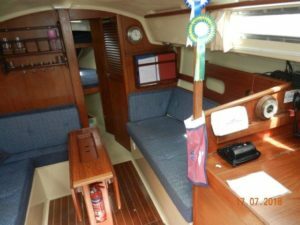 The saloon consisting of a dinette seating area to the port which can convert to a double berth, removable table with drop leaves, settee berth to starboard. 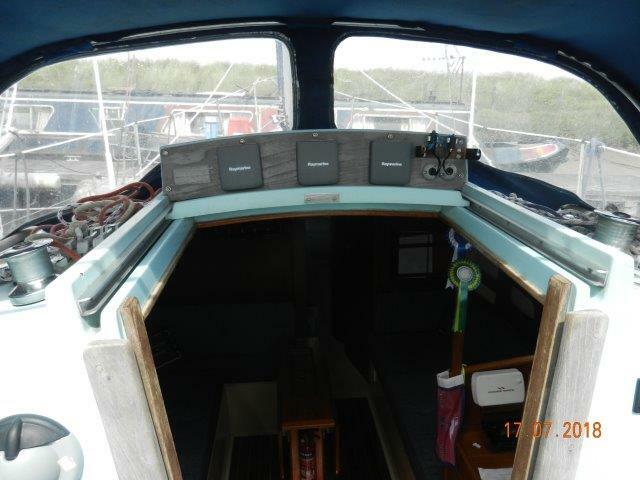 The chart table is aft to starboard with an electrical distribution panel and a large quarter berth behind. Galley to port equipped with a 2-burner Plastimo Neptune gimballed gas cooker (2005) with grill and oven, coolbox, sink with manually pumped cold water supply and ample storage. 100-litre water tanks in one bag. Blue upholstery (2006) with complimenting curtains. 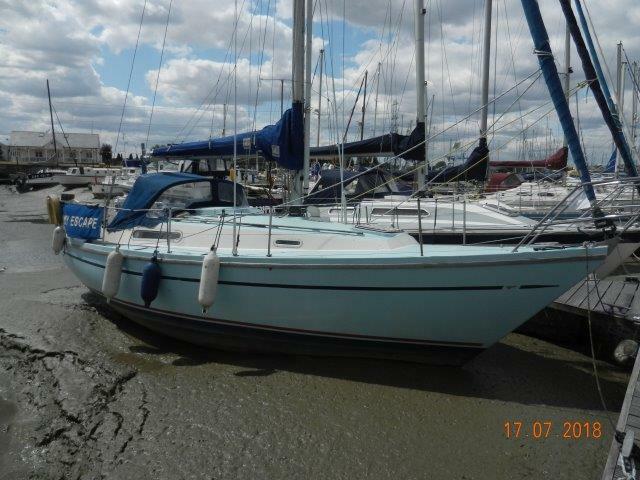 The yacht is currently ashore in Swale Marina, on the North Kent Coast where a berth is also available. The owner is open to offers.